Created as a joint effort between SoftBank and French robotics company Aldebaran, Pepper a preciously adorable robot, was unveiled recently in stores throughout Tokyo. The humans behind Pepper are hoping that everyone will want him to join their family in the very near future. Pepper laughs, tells jokes, dances and probably quietly mocks us behind his adorable little face as he and his ilk develop their future plans. Like a toddler or a pupper looking for a handout, Pepper constantly keeps eye contact with any human that he comes in contact with, can hold discussions about the weather and…stuff…and can do so in about 17 languages. Determining the emotional status of humans via facial recognition and tone of our voices is another feature of the almost child-like metal man. Using algorithms and collected data from facial recognition studies, Pepper will seek to interact with humans in a way that will begin building the bridge across the vast ‘uncanny valley’ that exists right now between natural human behavior and robotically programmed behavior. Looking to introduce him as a companion for seniors and as the gateway drug to having family service robots his price tag comes in under an affordable $2,000. Thousands of Peppers…connected in a hive-like mind. He’s not even really mobile. Like when a bunch of silver, bipedal robots with glowing red eyes in the future autonomously ‘took action’? Meet Otonoroid (the more stately female android on the right) and Kodomoroid (the awkward android on the left). Unveiled in Japan as part of a future museum exhibit asking, “What is human?”, these two androids are accessing news stories in real time and delivering them to the audience. Not only can Kodomoroid ‘read’ the incoming news reports, she can translate them from various languages and read them aloud in other languages. Who needs live human newscasters who require bathroom breaks, hair and make-up and can only work for a measly few hours before they get tired and need rest? Networks who buy news-reading androids and have a labor budget to swing under…that’s who. As awkward as this demonstration is, it’s an interesting sign as to how robots are slowly becoming more and more integrated into our public lives. Town of Dolls is Just as Eerie as You Think It Is! There’s something unsettling about a small village in Nagaro, Japan. The village, located about 90 minutes from anything resembling civilization is like something out of a Twilight Zone episode. Over 350 motionless dolls resembling people no longer living populate the small village. Created by Ayano Tsukimi, the dolls were something that she just started doing one day. Now the entire town is populated by dolls in various places and enacting the daily activities of the once bustling little village. Posted in Abandoned, Bizarre, Dolls, Japan, Weirdest Places | Comments Off on Town of Dolls is Just as Eerie as You Think It Is! Trike with Toilet Seat Runs on Manure! This bike would’ve been pretty awesome…had they NOT MADE THE FREAKIN’ SEAT A TOILET! No. Seriously. This bike looks like it could’ve rolled into an oil-punk gathering and been something to gawk about because of what it uses for fuel. But instead…someone decided that it would look better with a bar-joke of a seat mounted on it…Wait. Why stop there? Why not make a mini toilet and mount THAT right on the front of the bike as well? If you can get past the fact that there are two toilets mounted on this trike, you’ll learn that this 250cc machine runs on gas produced from livestock waste even though if anyone ever saw you on this thing (like the young lady in the photo) they’re going to assume you’re ‘dropping’ the kids off at the pool’ while you’re on it…because IT HAS A TOILET FOR A SEAT. Called the NEO, this thing took three years to develop. Three years of development ruined by someone’s idea to make the area where you sit a toilet. SO…while there’s no actual manure in the bike, once you tell people what it runs on they’re simply going to assume that YOU are the one providing the fuel…and that you might possibly be providing it while you’re out driving around on it. 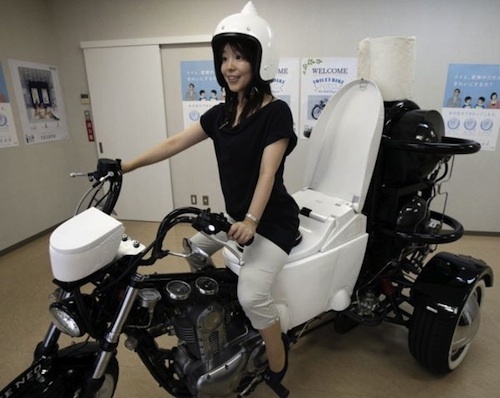 Posted in Biofuel, Japan | Comments Off on Trike with Toilet Seat Runs on Manure! Japanese Scientists Grow Crude Liver in a Dish! Something straight out of a science fiction story is becoming a reality in Yokohama, Japan right now: regenerative organs. 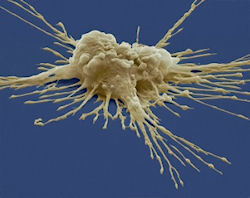 There have been tons of attempts, theories and even a small handful of groundbreaking work concerning regenerating new organs, veins, tissue and even blood using stem cell research. It often sounds almost fantastical at times considering the small amount of work that’s actually been produced from the field. Japanese researchers revealed at the International Society for Stem Cell Research last week that they’ve reproduced a liver-like tissue in a dish. Their findings have yet to be published but there is a lot of buzz taking place on the internet this morning about this news release. Our imaginations and the media will probably go crazy talking about the possibilities of this breakthrough. The reality is that this is about as crude an example of a regenerated as one could possibly get. It’s still got a long way to. Using various cell types and what reads like a hipper, less late-night grave-diggy version of Frankenstein, researchers have basically taken human skin cells back to an ’embryonic state’, reprogrammed them, let them begin to grow, added various other cells to the process and created a very primitive ‘liver bud’, a very early stage of liver development. As primitive as this ‘liver’ is right now, the tissue does contain blood vessels that worked when the tissue was transplanted under the skin of a mouse. There’s no doubt where this amazing technology is headed and that its goal of recreating human organs is going to happen given time. Posted in Biology, Cloning, Japan, Science, Technology | Comments Off on Japanese Scientists Grow Crude Liver in a Dish! 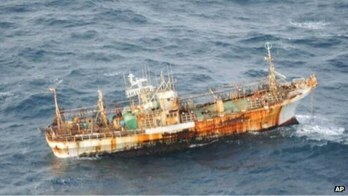 Lost in the massive confusion and destruction of the 2011 Japanese tsunami, a fishing vessel has shockingly been found afloat off the western coast of Canada. The ship is the largest piece of debris found yet from the natural disaster and is being monitored as debris as of now. It will hit landfall in roughly two months if not stopped at sea. Meanwhile, the boat could just be an eerie harbinger for even more random Japanese stuff. Is is estimated roughly two tons of debris washed off shore and the main mass of that should start hitting North America in two years time. Could Japanese Earthquakes Have Aggravated Hoards Of Flying Cryptids? The Japanese earthquakes and resulting tsunamis dominated the news in early 2011 bringing horrifying picture of destruction and tragic loss of life. But in the rebuilding phase, a strange side effect emerged. Survivors of the disaster reported seeing a larger than usual amount of unexplained activity in the sky. UFOlogists claimed it to be visitors from beyond surveying the damage on Earth. But one man has a different theory: flying cryptids have been unleashed over the Land of the Rising Sun. The appearance of these atmospheric beasts varies wildly. 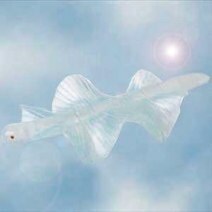 Accounts have variously described them as amorphous and cloud-like behemoths, finned squid-like creatures, floating jellyfish, translucent, vaporous blobs, amoeba-like organisms, and even dragons. The sizes of atmospheric beasts likewise run the gamut from tiny and bird-like, to gargantuan monsters hundreds of feet long. …The thing is that earthquakes and tsunamis influence more than just the Earth and the seas. When the powerful earthquake hit Japan on March 11, it not only jolted the Earth, but also shook the skies above. When earthquakes and tsunamis occur, they generate surface motion that in turn can trigger waves that can shoot up all the way to one of the highest parts of the upper atmosphere, to what is known as the ionosphere. These events are known as seismotravelling ionospheric disturbances. Brent Swancer, writing for Cryptomundo, goes on to note that Japanese earthquakes in 2004 also triggers Sky Beast sightings. In general, we find “isn’t Japan weird” items well.. a little 90’s. Sure, they are weird. But it’s pretty well worn territory and when Vlad Putin is giving straight faced interviews about Wood Goblins and Yetis we feel the most fertile under recognized ground for weird news has drifted West. 1- There is a strangely confined feeling to it. It’s all shot on one set or green screen and the bizarre imagery carries the entire clip. 2- It never gets super gross or sexual. 3- The song is really catchy. So here you go, Weirdlings the tune you won’t be able to get out of your head this weekend. Japanese Women Takes 10,000 Volts to the Face… And Lives! Check out this amazing video that shows what happens when electricity meets flesh. A Japanese women scaled an electric pole and refused to come down, and while arguing with authorities touched one of the lines, sending a 10,000 volt spark arcing from her finger to her face. To her credit, she argued for another 45 mins. before firefighters finally talked her down. 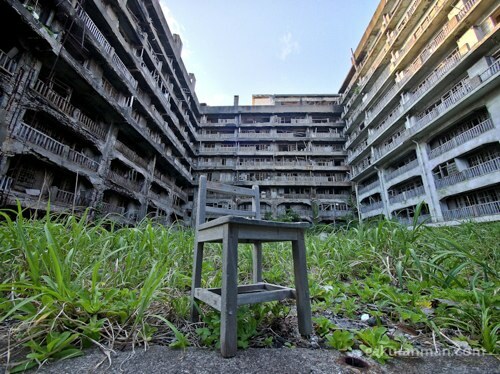 A Japanese coal city abandoned in 1974 has been officially off-limits for anyone looking to explore the slowly decaying buildings that once was home to thousands. That did not stop this brave explorer and his trusty guide who not only infiltrated the infamous Battleship Island but took some super insane pictures while there. A topic like this, sometimes you owe it to the world to pay lip service to the big clichés. Case in point, I think we can all agree that if there’s one group of people we know we can count on to come up with one of the weirdest inventions we’ve ever seen…it’s the Japanese. So now, the problem becomes, where do we start? Which Japanese invention will hold today’s place of honor firmly in position while adding the necessary support to present it in the best possible light? Which Japanese invention will simultaneously lift the bar and separate itself from the pack? Which Japanese invention will allow for the most gratuitous use of thinly veiled innuendo? I’m not even sure what I love most about this. Is it the beverage holding pouch attached to either… er… chest… piece…? Is it the extra-literal use of the term “green?” The scrolling LED billboard? Ultimately, I think I’m just happy that women are finally being released from the shackles of having to plug their cell phones into a wall to charge while they sleep. Every. Single. Night. How daunting. Also, please don’t wear this current coursing corset out and about on a rainy day. Or wash it. Or…I better stop now. What do you think? Weird enough for you? If you’re a girl, can you imagine wearing one of these? If you’re a dude, can you imagine wearing one of these? Can you do weirder? Impress me, Team. Let me hear your thoughts. Check out this weird shape-shifting UFO caught on camera in earlier this month in Yokohama, Japan. It changes from saucer to sphere and back again. And you have to hand it to the cameraman for keeping such a tight shot on it. UFO, or SFX Senior Project? Let us know what you think in the comments.